They even have a heavy-duty carrying handle. 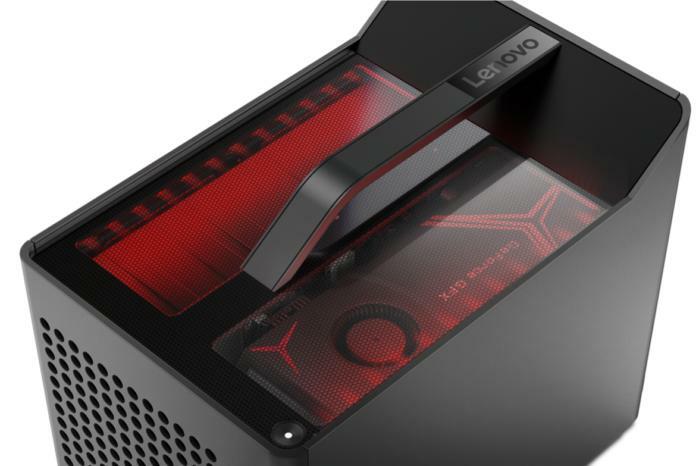 Lenovo’s Legion C530 Cube and Legion C730 Cube are compact gaming desktops made with esports in mind. They’re truly portable, with heavy-duty carrying handles. To offset the close quarters, they feature perforated panels to maximize airflow. They have ports galore, and for personality, they feature LED lighting—all-red for the lower-cost C530 Cube, and RGB-strong for the C730 Cube. Of course you don’t have to play esports to enjoy these features. But if you’re on a team or aspiring to compete, a system like this could see you through a few seasons. Lenovo also stresses that both of these systems are VR-ready, if that’s your jam. Let’s dig into the specs to learn more. 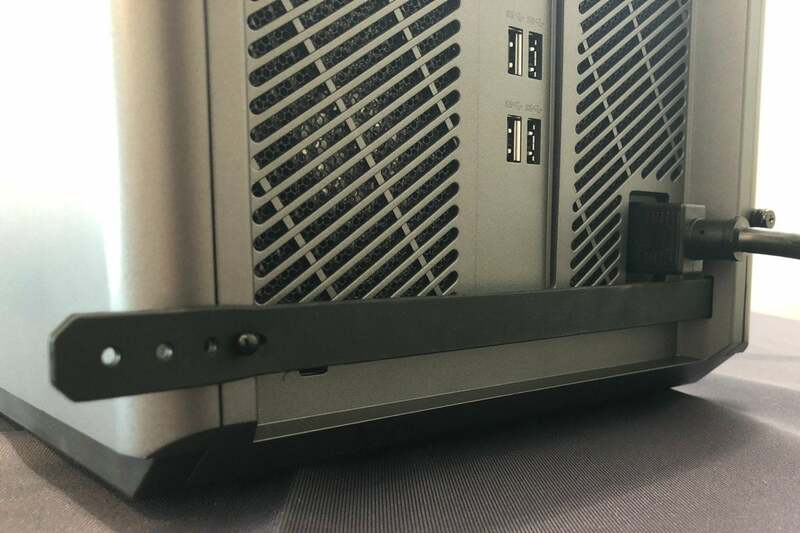 We don’t think the Lenovo Legion C530 has enough rear ports. Just kidding. Connectivity: The front has two USB 3.0 Type A, a headset port, and a mic-in port. The back has every kind of USB Type A port your heart could desire (but no USB-C): two each of USB 3.1 Gen 2 Type A, USB 3.0 Type A, and USB 2.0 Type A. In addition, you get RJ-45 ethernet and full HDMI, plus audio-out. 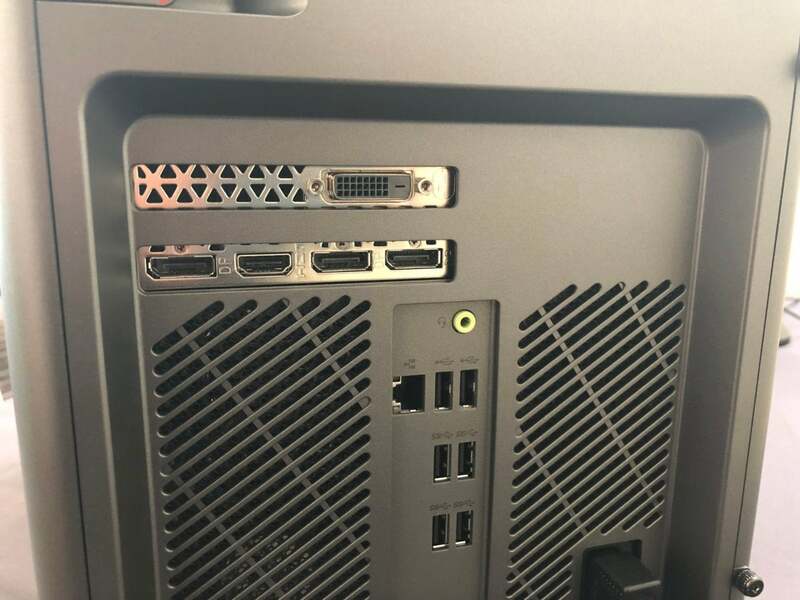 Other ports will depend on your chosen GPU. Lenovo’s Legion C530 Cube has red backlighting. The Legion Cube C730 also offers a bit of panache with its red-LED internal lighting, easily viewable through the transparent top panel. Connectivity: The front has two USB 3.0 Type A, a headset port and a mic-in port. The back has four USB 3.0, two USB 2.0, and RJ-45 ethernet, plus audio-out. Other ports will depend on your chosen GPU. 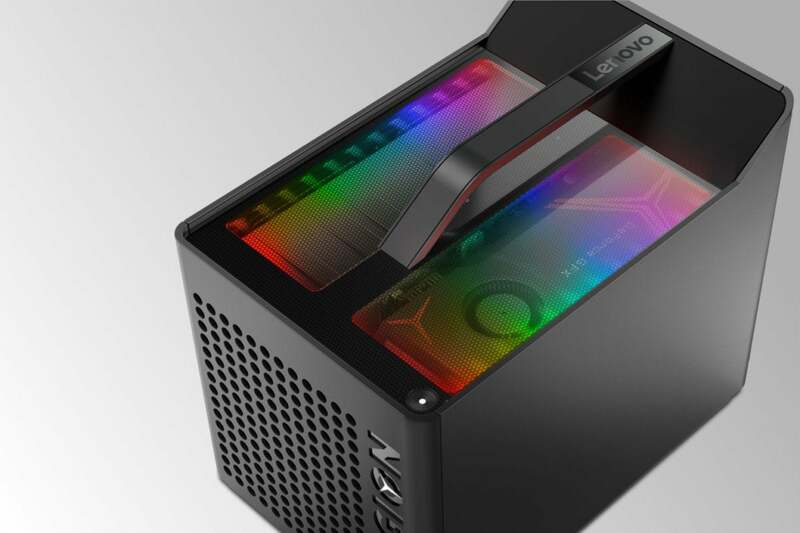 You can easily tell the Legion C730 Cube from the Legion C530 Cube because the former has full RGB lighting, visible through its transparent top panel (as seen in the article’s primary image, above). 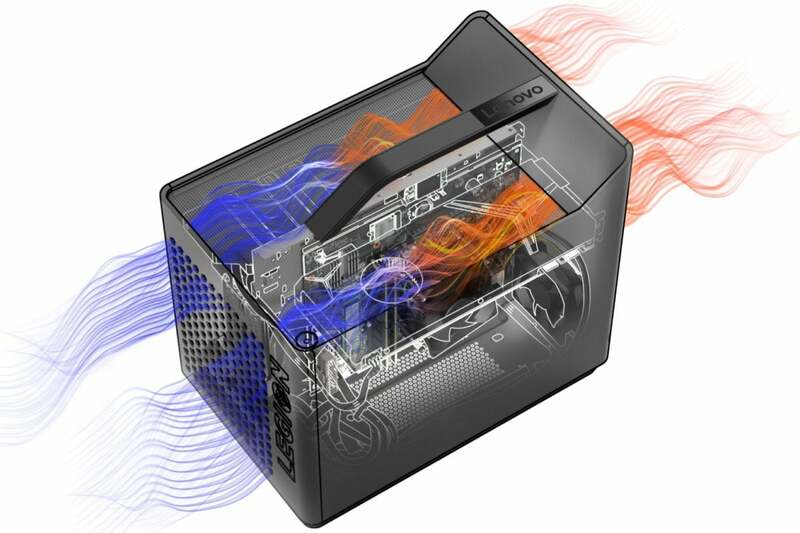 The Lenovo Legion Y530 Cube and Y730 Cube have generous mesh paneling to maximize cooling airflow. Beyond the specs, what makes the Legion Cube systems worth writing about are the design details. These are the little things that could help you choose one system over another in a crowded field. First, the perforated panels: Mesh paneling isn’t new, but the big, polka-dot-sized front openings—call them bullet holes if that fits your aesthetic better—provide graphic punch as well as essential ventilation. Lenovo’s Legion C530 (and its cousin, the Legion C730) have great details like this rubber band that stretches across the back panel to help control cord clutter. Lenovo remembers the everyday concerns of gamers, too. A simple rubber band stretches across the bottom of the entire rear panel. Its purpose is to corral all your cords so you don’t have an unholy tangle. Lenovo is fairly new to the gaming realm and has a lot of ground to make up against other competitors. 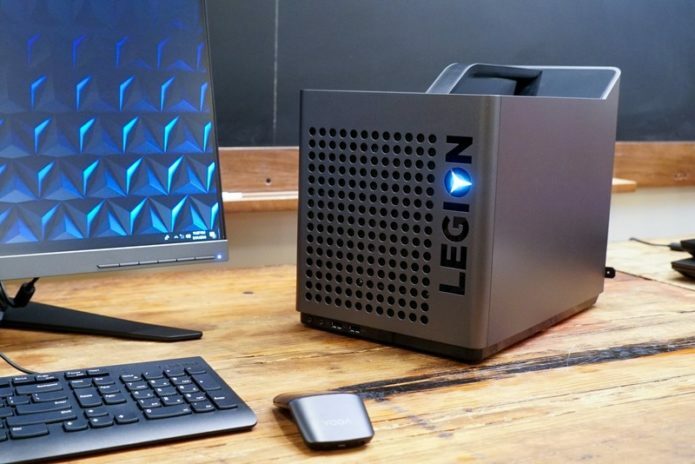 We’ll see whether features like what we see in the Legion Cube compact desktops will help its cause.